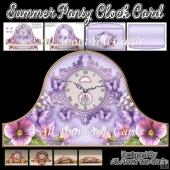 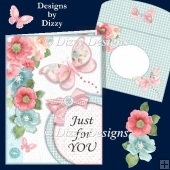 Layered front card with colourful pansies and a butterfly. 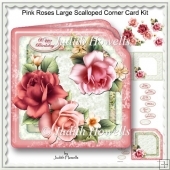 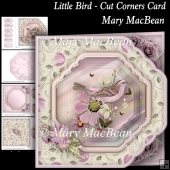 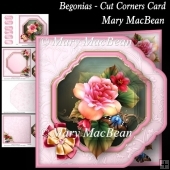 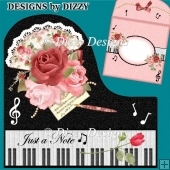 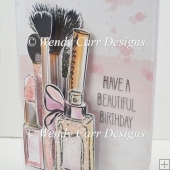 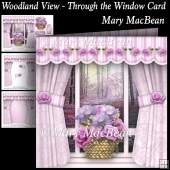 The kit has 3 sheets which include the card front, stacking layers, decoupage, insert and sentiments. 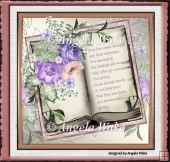 There are 5 sentiments - Happy Birthday, Happy Mother's Day, Get Well Soon, Good Luck and With Love or a blank tag for your own message. 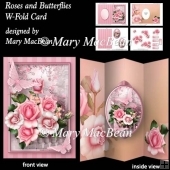 The finished size is approximately 7.5in x 7.5in.